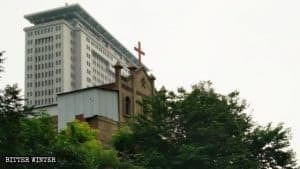 Over the past years, Henan Province in Central China has seen the most severe persecution against Christianity. Thousands of crosses have been taken down, and large numbers of churches have been destroyed by authorities. 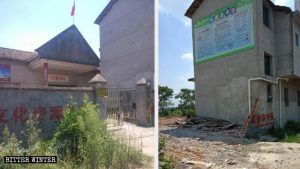 Right before Christmas, authorities destroyed a government-controlled Three-Self church, located in the Luyi county of the prefecture-level city of Zhoukou, that had existed for less than two years. The original appearance of the church in the Luyi county of Zhoukou city. 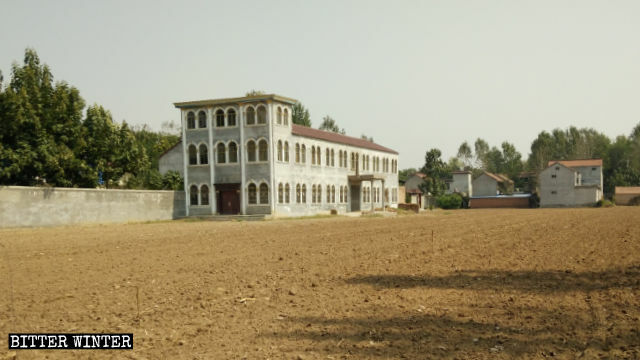 According to members of the church, authorities had planned to demolish the church since April 2018, for the reason that it had been photographed by a satellite. In order to protect the church, more than 20 believers stood guard in shifts around the clock. In a desperate attempt to avoid government action, the leader of the church began to tell people that they had sold the building. 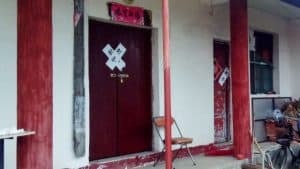 On December 18, 2018, 300 people from the Luyi county government, law enforcement brigade, Land and Resources Bureau, and other departments arrived at the local Three-Self church and declared that they would destroy it in accordance with the orders of their superiors. More than 20 vehicles, including law enforcement inspector squad cars, fire trucks, and police cars, were dispatched to seal off the intersections near the church to keep civilians and believers at a distance. The Three-Self church after being razed to the ground. 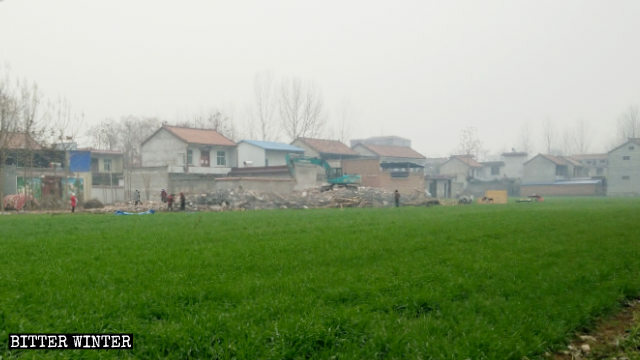 During the demolition, Liu Fang (a pseudonym) and two other Christians came forward to try to stop the destruction. In response, one official declared, “We have satellite images of it [the church]. It has to be demolished.” Two police officers then threw Ms. Liu to the ground, beat and kicked her, and cuffed her hands behind her back. Another member of the church was restrained by four police officers. “Right now, we’re demolishing your church; next, we’re going to come to arrest you,” the police threatened. Officials used an excavator to tear down the church. After two hours, the church was in ruins. The church leaders had tried to do everything by the book, in order to avoid future legal troubles. Before construction began in March 2017, the leaders applied to the local land management office and received all necessary permits. 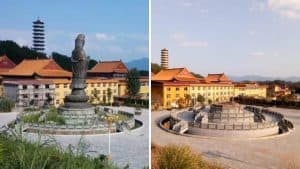 Construction of the church cost over 500,000 RMB (about $73,000), all of which came from donations from believers. “We worked hard to build this church. 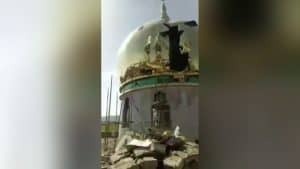 Now that they’ve destroyed it, we’ve lost our home,” one Christian said, crying.